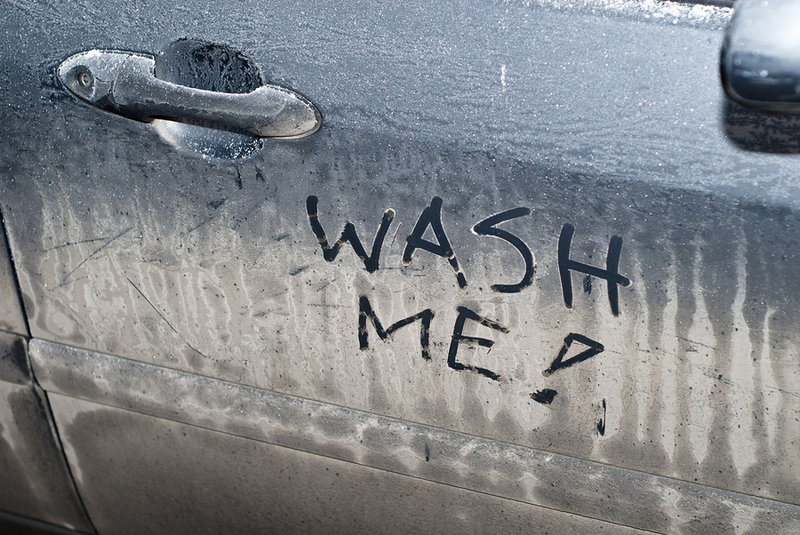 You may have heard that you should never wash your car on a sunny day, but that only applies to home washes. Excessive heat can cause soapy water to dry before you have a chance to get it off, running the risks of spots. That’s not a concern when you use a professional car wash, so sunny days are perfectly fine. But the same isn’t true for rain. Unless you live in a heavily polluted area, it’s not the rain itself that will ruin your fresh wash; it’s the water that splashes up from the road surface. Think about it – all the dirt and grime from thousands of cars has been building up ever since the last rain, and, as soon as that road gets wet, it starts splashing up on your car. Most car washes offer a rain guarantee – a free rewash if it rains within a certain time span – but you still have to take the time to do the whole thing again. So it’s always a good idea to check the weather forecast first. Where will my car be? Some places contribute more dirt than others. If you’ll be taxiing kids back and forth to ball games all weekend and parking on or near dirt, gravel, and grass, you might want to wait until Monday. That way you can enjoy your clean car for a week before the next round of games starts. There’s one truth about modern life that we all share: being so busy that we try to wedge to-do list items in anywhere we can. A professional car wash isn’t one of those things. It doesn’t take that long, but you can’t rush the process, either. If your car is still in the tunnel when it is time for you to leave to pick your kids up, there’s only so much you can do. And if you leave while your car is still wet, you’ll have spots and swirls. Therefore, before you Google “car wash near me” check out all of our locations and find the closest near you. At Mr. Clean Car Wash we pride ourself on fast service and we can make sure your car is ready to go when it is time to pick up your kids. There’s just one thing that can cancel out all of the other considerations: a special occasion. Whether it’s a first date, a job interview, or lunch with a big client, a special occasion trumps everything. Even if it’s going to rain tomorrow and you’ll be parking on a muddy field the day after that, when you need a clean car – well, you need a clean car. Appearances count, and right before a special occasion is always a great time for a professional car wash. The point is that planning ahead and thinking about how a car wash fits your personal schedule can help you save both time and money. Mr. Clean Car Wash is ready when you are. Stop by today for $5 off our Signature Shine Full Service Car Wash or any single detailing service.